The recent announcement of 3DS XL less than 18 months after the original 3DS hit shelves drew a lot of discussion, so we thought we'd dive through the archives to present you with a visual history of the evolution of Nintendo handheld consoles, starting with the good old Game Boy. We're not going to go into all of the colour variations for this article, because that would require the efforts of a large team of dedicated researchers, but instead James and Tom have combined to show you Nintendo's major redesigns and handhelds. In this first part, we go all the way up to Game Boy Advance SP; keep an eye out for part two later this week. North American release: 21st July 1989. Here's where it all really started for Nintendo. The company had put out portable game machines before — the Game & Watch series pioneered the idea — but the interchangeable cartridges gave Game Boy a much broader appeal. Looking at it these days it's hardly the most aesthetically appealing machine, with its dull pallour and odd pink, green and blue colour scheme, but it laid the foundations for modern handheld gaming as we know it. A D-Pad, two action buttons and mainstays Start and Select have all been included in every Nintendo handheld since. The original Game Boy stood strong against several more powerful challengers, most notably SEGA's Game Gear and Atari's Lynx. The Game Boy's superior battery life and game library helped it shove off its competitors, and sustained sales meant it wasn't revamped until 1996. North American release: 14th August 1995. The handheld that Nintendo would rather forget, perhaps because it was the company's biggest and most embarrassing flop. To get the grizzly details out of the way first, this system was discontinued due to abysmal sales less than a year after it was released, and didn't even arrive in PAL markets. It also supposedly caused terrible headaches and eye-strain, too. Beyond that, it was a system that showed the daring, innovative side of Nintendo that has since become a prominent part of the company's legacy. The technology may have been limited to red and black colours, often with wireframe visuals and insufficient rendering, but the Virtual Boy did successfully create a 3D effect. In many senses the technology just wasn't ready, but it was an early sign that Nintendo didn't just want to keep producing the same gaming experiences with improved graphics. If you want one today, they're a bit of a collector's item. North American release: 3rd September 1996. These days, redesigning a console seven years after its release is pretty much unthinkable, but back in the mid-90s Nintendo decided to revamp the Game Boy into the thinner Game Boy Pocket. The machine was smaller and lighter, but had other tweaks too. It now ran on two AAA batteries instead of its predecessor's four, but the battery life took a knock, dipping from 15 hours to 10 hours. It also shrank the communication port, meaning you'd need an adaptor to link up to the original Game Boy for some multiplayer fun. The screen was also changed to a starker black-and-white display, getting rid of the original's infamous green hue. The screen had no backlight, though; that came with the next revamp in 1998. Japanese release: 14th April 1998. This model was exclusive to Japan, so few outside of Nintendo's homeland are likely to have even clapped eyes on one of these systems. It may have been slightly bigger than the Game Boy Pocket, but it had a feature painfully lacking in its predecessors: an integrated backlight. As a Nintendo handheld released in Japan, it also had plenty of nifty special editions with attractive cases and designs, while two AA batteries would last a hefty 20 hours without the backlight, or roughly 12 hours with it on. Reports of Japanese landfills packed to the brim with tacky, plastic external Game Boy light accessories back in summer 1998 are unconfirmed. North American release: 18th November 1998. Game Boy Color, due to its backwards compatibility, name and design, was perhaps incorrectly perceived as another iteration of the original Game Boy. It was actually more powerful and had superior technology, arguably making it a new console rather than a redesign, but being tied to its predecessors probably didn't do it any harm. It may have had new games that made use of the extra resources available, but the ability to play the enormous Game Boy library with basic colour palettes, retrospectively applied, meant that it helped to breathe new life into the handheld family. The improved technology that we mentioned was a relatively humble improvement on an original model approaching a decade in age, but it did bring substantial colour to Nintendo's handheld gaming, and also included infrared communications and linking, even if the feature wasn't used a great deal. North American release: 11 June 2001. After almost 12 years of subtle variations and improvements on the original Game Boy, Nintendo unveiled Game Boy Advance, which represented a significant increase in power and graphical capability. 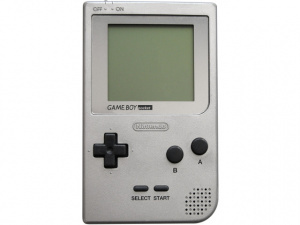 Shoulder buttons made an appearance for the first time on a Nintendo handheld, and there was backwards compatibility with Game Boy and Game Boy Color game carts, once again making it very attractive to those with plenty of older games. 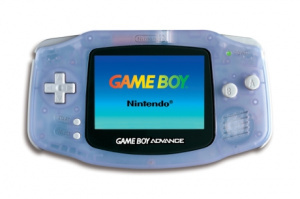 The GBA was practically a SNES on the go, although technically it may have been superior to the home console. It did mean that some excellent Super Nintendo titles were ported to the system and, generally, it produced handheld graphics far beyond what had come before. It also tested the waters for interplay between handheld and home console games with its GameCube connection cable, with games such as The Legend of Zelda: Four Swords Adventures putting it to use. Its biggest issue? No lighting on the screen, something that would soon be resolved. 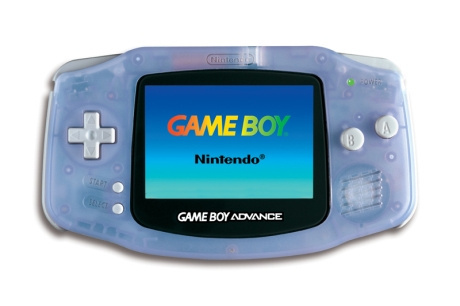 This re-model of the original Game Boy Advance with the SP was a significant change in form-factor, and was clearly a design heavily influenced by the development of Nintendo DS, which would arrive in 2004. At the time, the clamshell design was the first since the pre-Game Boy Game & Watch units, but in this case would set a trend that's still prominent today. This was a release of various pros and cons. The positives were the front-lit screen — though a backlit model would follow — and the inclusion of a built-in system battery with an AC charger. For the first time Nintendo handheld gamers didn't need to dig out some old-fashioned batteries, which was a step forward. On the downside, this system did not include a headphone jack, an omission that would be considered outrageous today and, perhaps, was at the time. It was possible to buy an adaptor to use headphones via the AC port, but it seems like a strange design choice in the current day. In part two later this week we'll cover the final hurrah of the Game Boy dynasty, as well as the evolution from the original DS 'phat' to 3DS XL. Really want a gameboy light. Good read. I needed to brush up on these handhelds anyway! Does anyone else want nintendo to get away from the ds line? I'm kind of tired of it now, and I want to see a new line of handhelds. I don't know what it should look like, or do but, I would like it do be unique. That is why I like nintendo. Now that I'm done with my rant, I love the gameboys. I still have my gameboy advanced, SP, and micro, and I still play them from time to time. Cool the Game boy color came out a day after I was born! If they can squeeze so many ideas out of the gameboy, I can't wait to see how the DS evolves. Wii level graphics on the next-gen DS? Yes please! I'm currently playing Pokemon Yellow on my GBA SP. 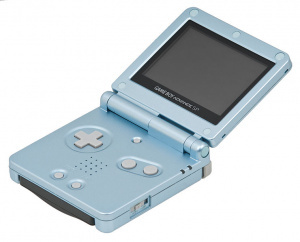 If you want the ultimate Gameboy today , you should get the SP because it plays ALL GB games. Ebay is full of them. If you think about it, because every model all the way through Game Boy Advance SP was still compatible with original Game Boy game paks, in a way the Game Boy platform was supported for a staggering 15 years. That's a record unlikely to be matched ever again in terms of hardware, though in theory I guess you could say the 3DS still supports Game Boy software in a limited fashion. Until today, I have never heard of a Game Boy Light. Still have my original GB, my GBA SP and my Virtual Boy. 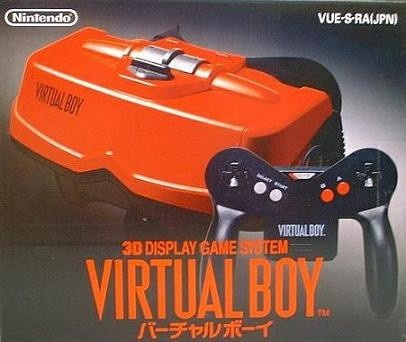 Virtual Boy had the potential but Nintendo rushed it out so that way they could concentrate on the N64. If they took their time on it I am sure it could have been a great system. WHat I find funny is that the Virtual had two cross pads on the controller yet they didnt do that with the 3DS or even the 3DSXL in ways of the circle pad. Lol. 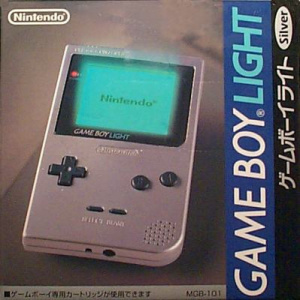 I want a Gameboy Light so bad! Curse you Nintendo for never releasing it in America. I am a handheld collector so it can be annoying with all these revisions, so far (at least on this list) I have, Red Gameboy Advance SP (first handheld), the Color and of course the classic. I hope to get every handheld on this list, even the Virtual Boy. I find it weird that the article didn't start with Game & Watch going through the original along with the dual-screen versions that definitely was the footprint for the Nintendo DS. 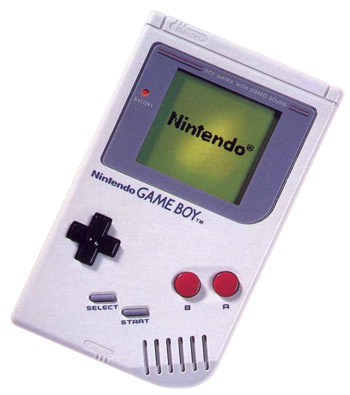 The original GameBoy was my first system that I owned [well, my parents had an Atari, but the GB was mine]. Mario Land 2:Six Golden Coins was a perfect game to start off my gaming career. Still have my Original Gameboy sitting on my "stuff" shelf. Damn thing still works, but the screen is missing a few lines. Had a Gameboy Color, but some pile of human crap stole it out of my truck in Kenosha, Wisconsin along with my Zelda Seasons/Ages and Dragon Quest games. 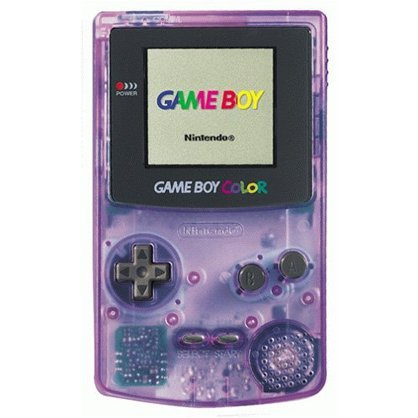 Loved that GBC, it was the transparent purple one too. Still pissed about that 12 years later. The Game Boy Advance was the golden age of the handheld revamp because each version (GBA, SP, Micro) looked completely different from each other (and all looked awesome), so they felt like completely new consoles when they weren't. Conversely I felt rather underwhelmed and unexcited when I unboxed my 3DS as its familiar design made it feel like it wasn't a completey new console when it was. @Square-enixFan I collect handhelds too and still have my GB, GB Pocket, See Through Purple GBC, GBA See Through Blue, And 4 GBA SP' and my GB Micro Game And Watch Limited Edition. My backlit GBA SP (AGS-101) is the thing I would grab first from my house if it was on fire. Best handheld ever. The original Game Boy was pink? What are you talking about? If you're talking about the buttons, yours must be really faded, because they were more like red with a smidge of blue to make them ever so slightly purplish. The GBA SP was my first handheld gaming system. Still love it and play it even now. wow! This really caught me up on Game Boy history! ...Where Is the GAMEBOY MICRO?!!! @Andrewroxsox If Nintendo moved away from the ds line it would still have to be dual screen.. Or else how would it be backwards compatible? Really the Virtual Boy was not a Gameboy revamp. It was it's own console. technically, it's was my cousins. My first true to my own hands portable was Game Boy! dear god, i feel so old.. I still have all these, excepting the Virtual Boy, sitting in my gaming closet. I still play my back-lit SP on a regular basis (seriously, there were a ton of great games for the GBA - and it's compatible with the enormous GB and GBC library of games. @xinoeph for some games that's true, but for others the 2nd screen wasn't necessary at all. I just want to see something other than another ds made ( I love my 3ds though ). I'm just ready to see something new, kind of like it was with the transition from gameboy to ds. Rigged a bunch of original GBAs with front lights. Was a fun soldering project. It was SO difficult to see Castlevania Circle of the Moon especially near the end even WITH the light. Also, battery life was a HUGE issue when playing with 4 connected GBAs to Zelda Four Swords on the Gamecube. It's funny, but I remember enjoying the Retro simplicity of some GB games that were still coming out later in its life and now 20 odd years later games are intentionally made with a retro styling despite no hardware limits because there are tangible advantages and benefits to the experience. It's all about the game play right? On the flip side, some of these portables had displays that had SERIOUS problems like fast moving pixels virtually disappearing and the mentioned darkness. So, visuals can certainly bring a game down, no doubt. My first console was the SP Blue backlit edition. My first game was Sonic Advance 2 which I still play frequently today and believe is one of the highest points in the history of the Sonic franchise. Nothing will ever beat the GBA SP for me. Its the perfect handheld aside from the need for a headphone adapter. And I still play my GBA SP on occasion, if only because it can play my Game Boy Color games... and because my poor DS Lite's L trigger rarely works. does Game Boy Advance SP have backwards compatibility with the original GB and GBC games too? My original gameboy still works like a charm. I even still have the massive "handy boy" add on that added a joystick, larger buttons, stereo speakers, magnifying lens and a light. It is massive and glorious. My first game console/Handheld was the GBA SP. ha, i actually have and used that headphone-AC adaptor on my GBASP. I agree that I feel that the Virtual Boy was released to serve the purposes as a "home console" as opposed to being a "portable". Maybe it should be in this list, I'm not for certain. As for the GBA and the GBA SP, you covered both, but what about the MICRO????????? I still have my original Gameboy that I got in 1989. Still works too! @Super-Maro-Fan HA! I finally know your birthdate! Ha ha ha ha ha! I'm a creepy stalker that needs to know everyone's birthdate! JK. I miss my GBA SP though. It was supposed to be my first system, but my parents got a GameCube instead because my brother wanted it. I was genuinely angry about that. Ahh before all the dual screen crap. Nothing wrong with the DS/3DS but going to those bulky systems from the GBA SP was a step backwards in the portability department. I've got 3 original Gameboy's, 1 GBA original, and 1 AGS-101 GBA SP. I collect Nintendo handhelds so this is a great read. In hindsight, I really wish I had waited for the GBA SP. I hate having no backlighting on my classic GBA. One of these days, I may go ahead and get one anyway. All great classics here. I do wish Nintendo would do a Game Boy themed 3DS. The GBA SP is the greatest handheld of all time. I can't even tell you folks how many of the GB line I have owned traded in and owned again lol I have almost always had a Used GB, GBA or SP . all worked really well, then I got the DS PHAT and the DSLite and the only one that has ever broken was my DSlite at the hinge. now own a Dsi XL I have missed out on the Dsi small since it was just in my opinion an interim hand held. My pick up the 3dsXL maybe some time in the future. Not bad. But the Virtual Boy was a console, not a handheld. I loved my Game Boy Advance SP - in fact I still have it and play it!! I proudly say that i have owned all nintendo handheld systems, oh, except the gameboy micro. My first game was megaman 5 for the original gameboy, and zelda links awakening. i love that game. You mentioned the Game Boy Lite, yet you don't mention the Game Boy: Play it Loud series...? The Pocket came out mere weeks after I was born. Imagine how different Nintendo gaming would be if the Game Boy Color got an earlier release (Pokemon would've started on GBC). lots of awesome gba games! !